WE ARE OPEN MON-SUN 4.30-00.30. View opening times of the shops below. 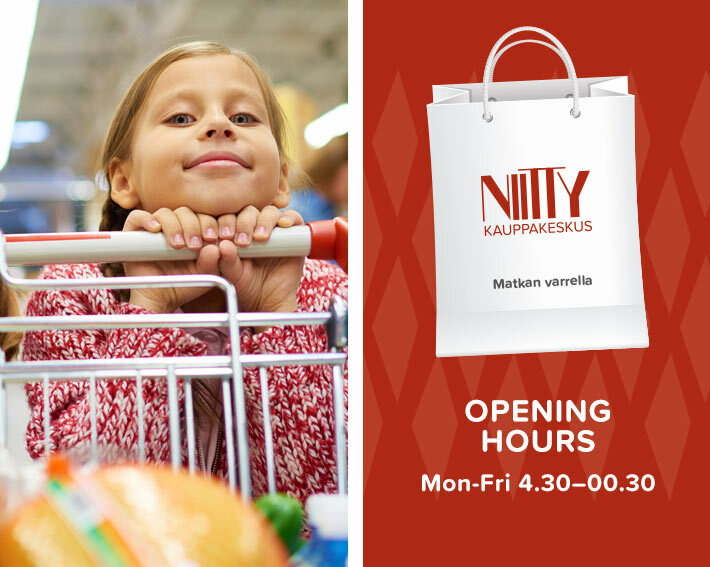 Shopping Centre Niitty is located within the new Niittykumpu metro station in Espoo. Niitty is easy to reach via public transport, by car, by bicycle or on foot. Welcome to the Shopping Center Niitty!